From spider cupcakes, to cheesecake coffins, to witch finger cookies and mummy macarons, seven of the country’s top bakers compete to create Halloween’s spookiest and most creepy crawly confections on Food Network’s Halloween Baking Championship, premiering Monday, October 5th at 9:00pm ET/PT. In order to survive this haunted competition, hosted by Richard Blais, contestants must prove their baking abilities and impress judges Ron Ben-Israel, Carla Hall, and Sherry Yard. Only one winner will take home the grand prize of $25,000 and the title of Halloween Baking Champion! “Halloween Baking Championship is packed with stunning, outlandish creations from wickedly-talented bakers, that are sure to inspire viewers to create spellbinding treats in their own haunted homes,” said Bob Tuschman, General Manager and Senior Vice President Programming, Food Network. In each of the hour-long episodes, the bakers’ skills are put to the test as they battle it out in difficult challenges that will cause quite a fright. Will the bakers be able to sculpt scrumptious spooky treats using only store-bought ingredients? Whose towering confections of terror will put a sweet spell on the judges? Which ghostly treat will be sent to the baker’s graveyard and never return? On the first episode, the bakers’ skills are tested in the pre-heat challenge to create Halloween cupcakes using iconic trick-or-treat candies, including candy corn, peanut butter cups and lollipops. 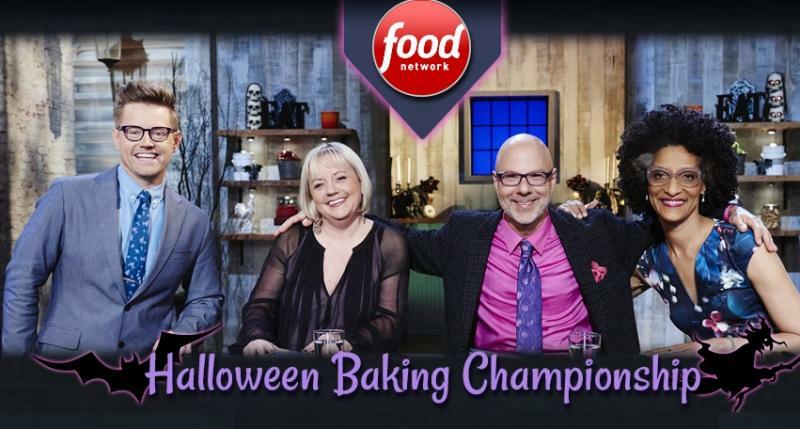 One contestant will win a special advantage in the main heat challenge, where they need to make a baked dessert that looks like a classic Halloween costume – ghost, zombie, mummy and witch. They must not be put under a spell when twists are thrown their way. Fans can meet the competitors, access top moments from the show, and get a behind-the-scenes look with Richard Blais and the judges on FoodNetwork.com/BakingChampionship Plus, they can join the baking banter on Twitter using #BakingChampionship. 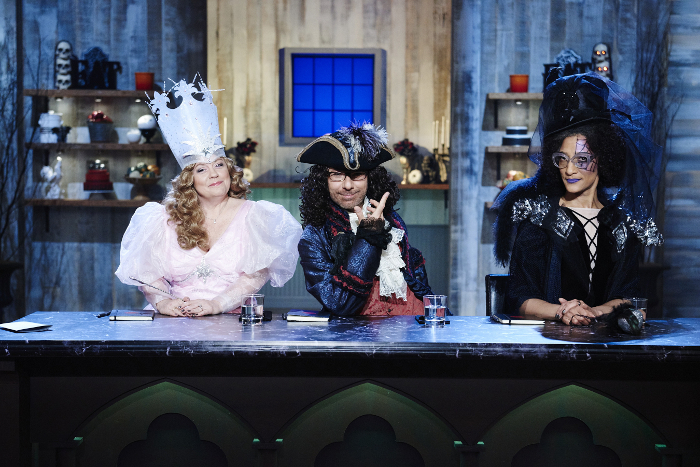 Co-Hosts Sherry Yard, Ron Ben Israel, and Carla Hall, during the Main-Heat round, Trick or Treat, Classic Costume Desserts, as seen on Food Network’s Halloween Baking Championship, Season 1.